Check all chart series ranges: Right click chart – SELECT DATA – (SERIES) EDIT. Check each series, if any ranges are in external files then cut the range from the external file and paste in to problem file. Also check chart titles and data label ranges. Rename it in file explorer: changing the extension from .xlsx to .zip. Navigate to the folder ‘FILENAME.zip>xl’ file and delete the folder named ‘externalLinks’. Some of these problems can be fixed with the free trial of the fix and speed up Excel® files tools. Lets go through each of those steps in more detail to make sure you can break links. a) When the active sheet is protected and you try to edit links the BREAK LINK button will be grayed out. You will need to unprotect this sheet or go to another sheet before you try and break links. b) If a cell within a protected sheet is linked to an external file then you won’t be able to break links. 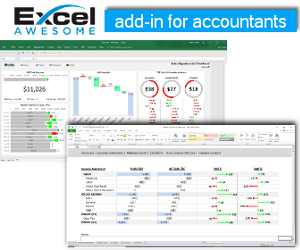 Excel® will give you a warning that the external link cannot be broken due to the sheet being protected. Excel® won’t be helpful enough to tell you which sheet contains the external link so you may need to go searching for it. You can use the audit tools to find all cells with external links. If you are using Excel® 2010 or later you can go to FILE – INFO. Under PROTECT WORKBOOK at the top you will see a list of any protected sheets. Once all the sheet are unprotected you can go on the next step. This step will succeed in breaking links unless there are “phantom links” with the workbook. We will come to these later. The Break Link function replaces the external links in any formulas with constant values. You can now check the list of links before you proceed. You will see a list of external links that your current file is linking to. You can click each of the files and then click BREAK LINK. If BREAK LINK is grayed out then go back to step 1 as you must still have a protected sheet in your workbook. Hopefully you have now broken links successfully. However, if you still cannot break the Excel® link then you need to proceed to the next step. This is the most common type of phantom link. 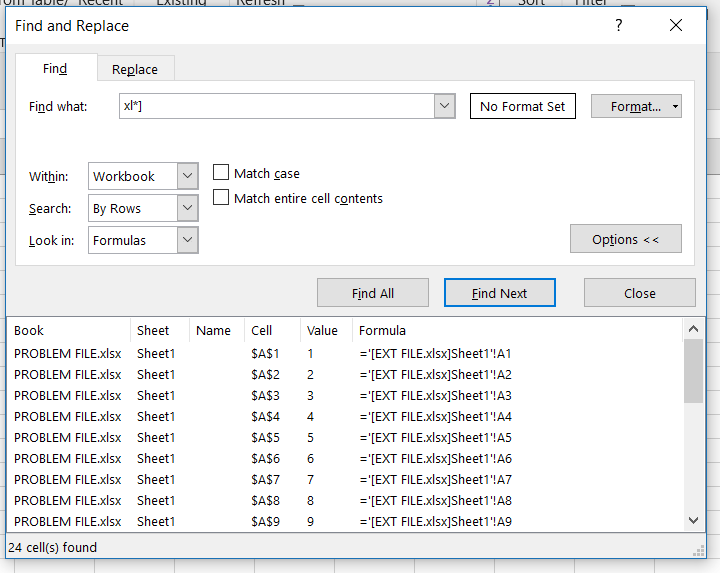 It is possible that named ranges used by a file are defined as a range of cells in an external workbook. You can check these easily and delete any that refer to external files. Select each named range that refers to an external workbook and click DELETE. If there are many named ranges then you may want to sort them by ‘Refers To’. This will group links to the same external file. You can delete more than one named range at a time. Select one, hold shift then select the one at the end of the range you want to delete. Note: you could use the file fix and speed up tools to delete named ranges to external files. With the tool you can choose to omit open files when deleting links to external files. Go back to check EDIT LINKS to see if this has resolved your phantom link problem. If you still cannot break link then go on the next step. 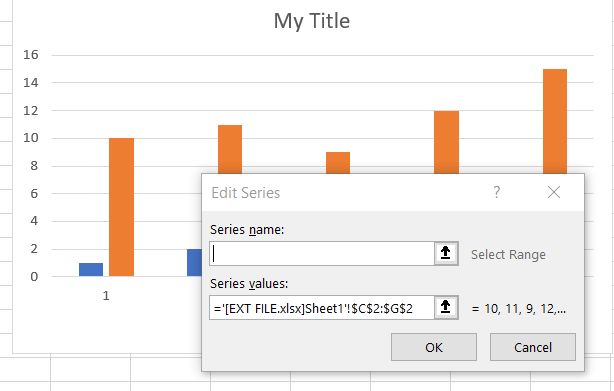 It is possible that some of the series data used by an Excel® chart has been moved to an external file. This will create a phantom link. Check if your file has any charts. It is possible that your workbook has hidden sheets so you may need to unhide them and check these for charts as well. If FILE-INFO is saying there are still hidden sheets then your file may have sheets that are ‘Very Hidden’. This is unlikely unless you or someone else has set the sheet ‘Visible’ property to xlVeryHidden in the Visual Basic Editor. Click FILE – CHECK FOR ISSUES – INSPECT DOCUMENT to find any hidden sheets. You can either click to remove the sheets. Or you can unhide them in the Visual Basic Editor (click ALT+F11). In the VBE you can click on the hidden sheet then change its visible property to xlVisible. In each chart. Right click the chart then ‘SELECT DATA’. 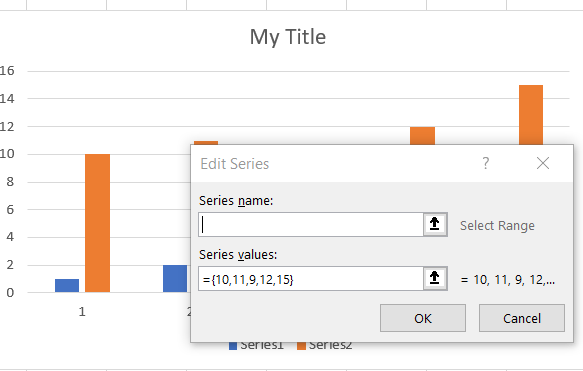 Click on each series then ‘EDIT’. If you see a link to an external file in the name or values then you have found some phantom links. Go to this data in the external file, cut it and paste it in your problem workbook next to the chart. If you’ve already tried to BREAK LINKS to this file then instead of the file and range (above), all you will is a list of values (below). If this is the case then you’ll still need to cut the cells from the external file and paste in your problem workbook. The difficulty is going to be finding the cells. You don’t have a range reference in this case. Other objects such as form controls or linked images may reference external files. You can check these as well before you go to the next step. 5. Save a copy of the problem file. This is the last resort if you cannot break links in Excel®. But this will resolve any remaining phantom link problems. The downside is that this method is breaking external links without actually finding them. There is a chance this will impact the functionality of your workbook. 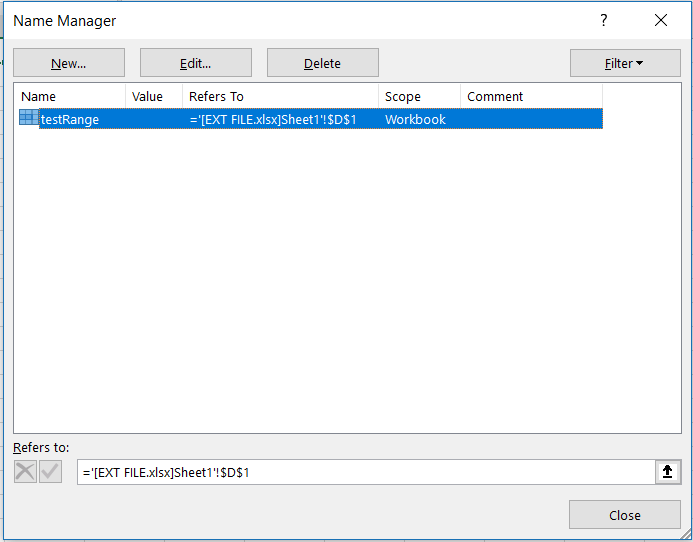 This method goes in to the file structure within the workbook to remove the link data. Change the extension from .xlsx to .zip. Delete the folder named ‘externalLinks’. 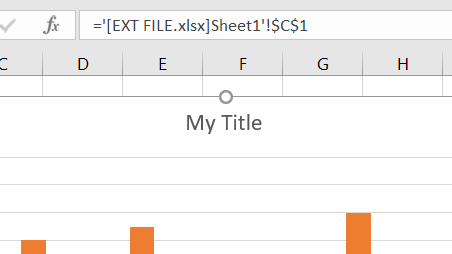 When the file opens in Excel® you should not be asked to update links. The EDIT LINKS option should be grayed out. Compare this new file with the original to ensure it is working correctly. I’d generated a bunch of filtered pivots from my main pivot and I kept getting a link error when I saved them separately. I can’t distribute them like that, and I couldn’t figure out where the connection was. Followed your instructions, and clearing the named ranges worked like charm.